Hit read more to read the full descriptions and view the covers for these exciting issues! “ALL HAIL OPTIMUS,” part 2! OPTIMUS PRIME is here to save the Earth — whether the Earth wants saving or not. 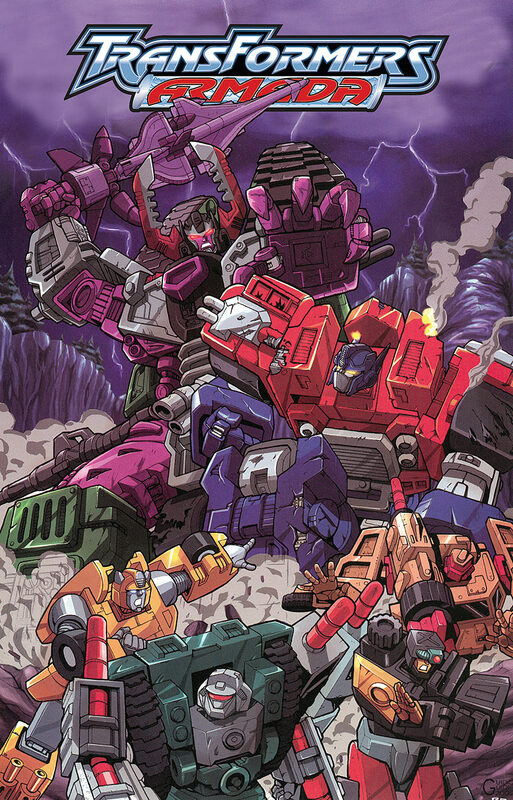 A hostile world reacts the AUTOBOTS’ incursion, as GALVATRON gathers his forces. But is OPTIMUS alone in his head…? •OPTIMUS PRIME — threat or menace?! •Nobody likes being told what to do — not even by a 60-foot tall talking truck! •Find out what happens in a world… where Optimus Prime never died! 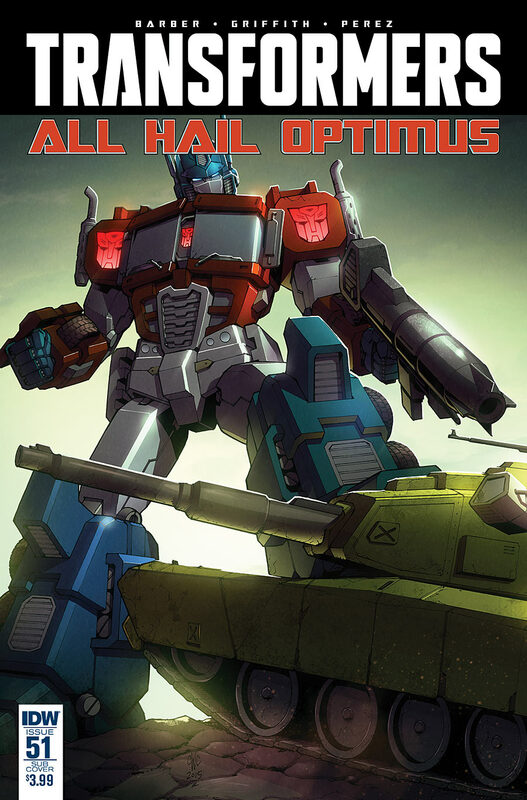 •Writer Brandon Easton (TV’s AGENT CARTER) writes his first TRANSFORMERS comic! •Part of IDW’s Deviations 5-week event! The DECEPTICONS, feeding off the energy of captured Mini-Cons, are about to begin a hostile takeover of the TRANSFORMERS’ home planet, CYBERTRON. Do OPTIMUS PRIME and the heroic AUTOBOTS stand a chance of defending the planet against these super-powered villains? And will the Mini-Cons ever get their freedom back? The action is so explosive that the shockwaves will shake not only CYBERTRON but even planet Earth right down to the core. 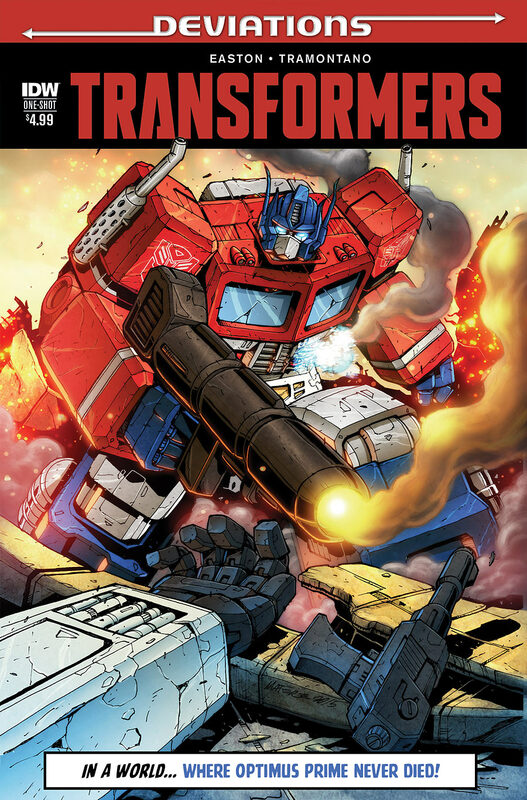 All 18 issues of Transformers: Armada are collected in this omnibus. Cool an actual size to work with the IDW scale. Aparently IDW Transformers are officially the largest interpretation in the franchise. Because a sociopath with a disturbing lack of empathy manipulating a child to be killed as a casualty in a much larger scheme was totally fluff. Getaway is only as bad as the Decepticons have made him. That Tarn quote sounds really intriguing and the covers look really nice too. 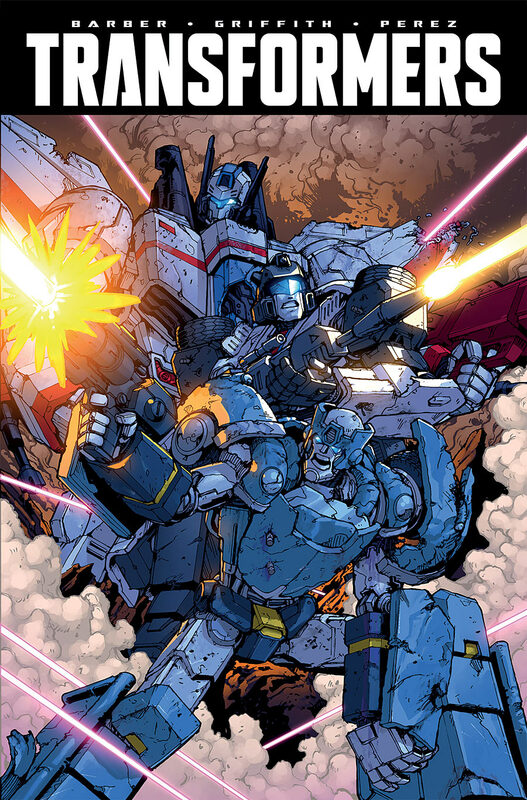 Oh man I love that Mtmte cover! Tarn's optics are absolutely vicious looking! I'm so excited for more DJD I find Tarn's character so fascinating. I'm glad we're getting the fluffy #47 and #48 MTMTE issues out of the way to focus on some serious stuff in March. A lot of people were right about Prowl's influence left over from Optimus Maximus. I would imagine being the torso Prime gets the brunt of the mind echoes. yep. Prowl really never goes away he always there. 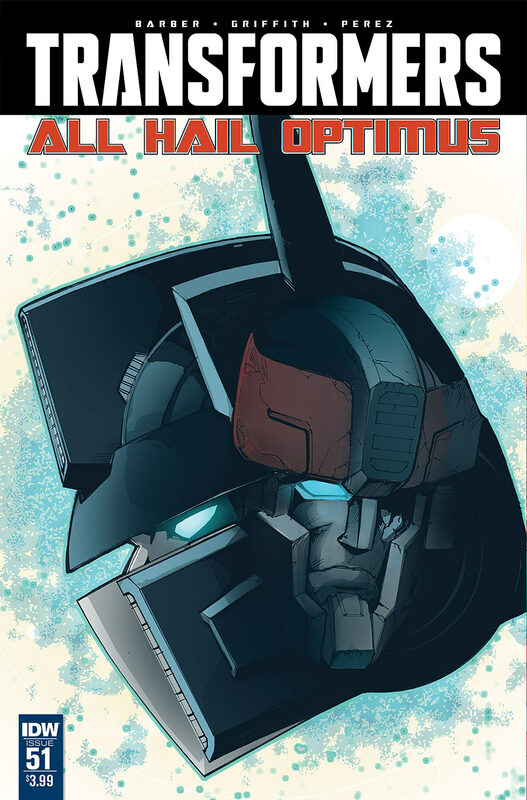 Not sure about Mirage and Ironhide, but Sunstreaker might have something to do with this plotline given that he's joining the book once AHO starts. I am more sure that Mirage if Roberts gets him back to the LL will have the means to Prowl shadowing in a story arc. Nothing being done with Sunstreaker and Ironhide much, either. Jeez, SOTW #4's being pushed back a lot. =/ Also looks like TAAO won't be starting this month after all. March should prove to be an interesting month. and did nothing wrong too. It looks like Prowl's mental "ghost" inside Optimus (leftover from combining into Optimus Maximus) might be influencing him act more like Prowl would. 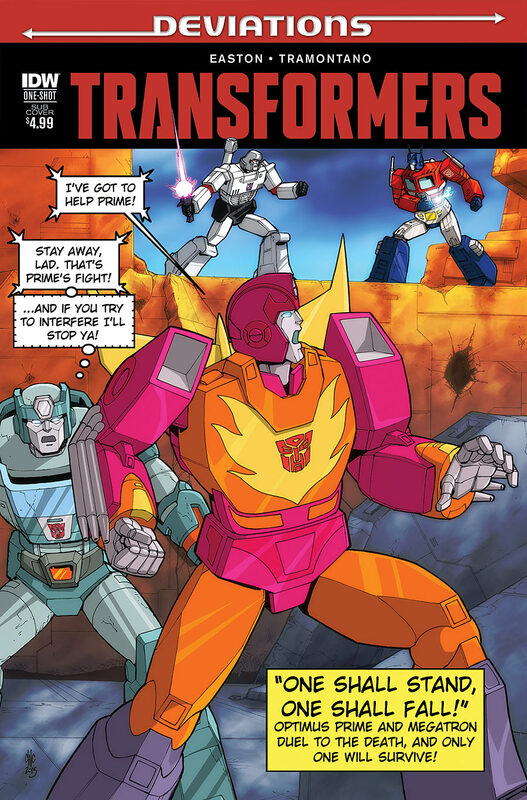 I'm not sure what this suggests about Prowl's fate at the end of Sins of the Wreckers, but at the very least I like that Combiner Wars is actually having consequences further down the line and hasn't just been forgotten completely. However with that said I do like the idea of Prowl influencing his decision…for once maybe Optimus will make good decisions. Yeah, I'm not really holding out for fluffy ever again. It never was going to be just one issue, the whole confrontation makes up the Dying of the Light story arc. So, AHOP can be summed up to "Prowl, someway, SOMEHOW, fucked up things again?" 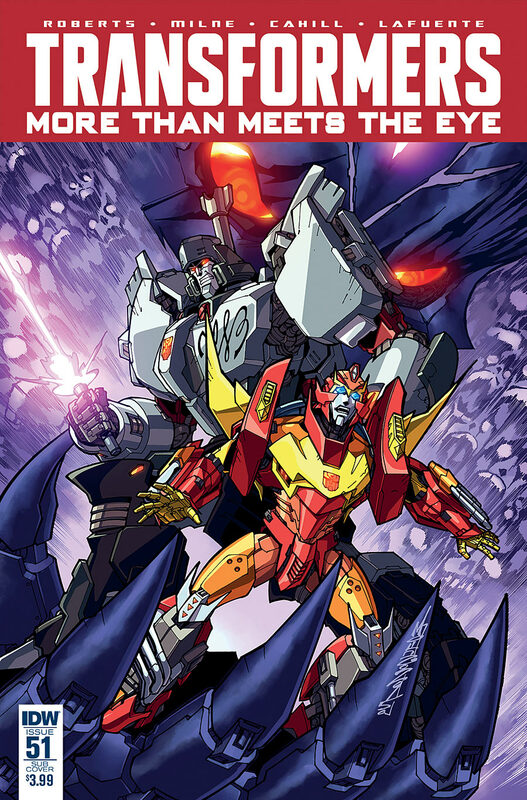 Looks like the confrontation between the Lost Light and the DJD is going to spill past issue #50. I'm cool with that, a conflict that has been building up for this long should be resolved over multiple issues, not just one. Same goes for All Hail Optimus. So the Prowl portion of Optimus Maximus' gestalt mind is going to start creeping up on Optimus? I'm so tired of evil Prowl. If that is the case it makes interesting for Mirage, Sunstreaker and Ironhide basically. It would interesting see what happens to all involved. Loving what I'm seeing here. The quote from Tarn is absolutely chilling. This is pretty much what I was thinking.